Are you ready to make a New Years Resolution that you will keep? We are going to make it so easy for you, that you aren’t going to even realize that you are keeping your resolution this year!! The new year is a great time for self evaluation. A wonderful time to look at the past year(s) and determine what didn’t go so well or what could go better. We are dedicated to spending this month looking at some of the top resolutions and how we can help you keep them. This one is so easy for us to help with. It’s easy for you to stick to this one as well. You can start by simply resolving to shop more in our stores. Here’s a little secret, I buy 99% of my clothing from our stores. I get compliments at least weekly on my outfits! I take each compliment as an opportunity to share with people that my outfit is from the thrift store. Yikes! The thrift store? YEP!!! My average outfit cost $15. That includes the clothing and any accessories. If you are thinking “my average shirt costs more than that”, you need us in your life! The secret is, that you won’t necessarily find it all at once. That’s the fun. You come in today and find 2 super trendy shirts, a big chunky fun scarf and a ring that is sure to get people asking you where you got it and spend $15. Take it all home, wash it, shine it up and hang it up. Next week you come in and find a pair of pants, a maxi shirt and a brand new pair of boots for $18. Here are the facts: # 1 You had fun (because shopping is fun). #2 You now have 2 entire outfits with accessories to choose from. #3 You spent $33 for 2 new outfits, boots and 2 accessories. You saved a lot of money! Spending less doesn’t have to just apply to clothing. We have furniture, home décor and so many other things at a fraction of the cost of brand name retail stores. When you spend less, you can save! Spending less on your clothing and home furnishings will allow you to save more for….a family vacation, a new home, a new car. The possibilities are endless. This resolution rocks because you aren’t really giving anything up. You are actually getting more for your money. It’s a pretty smart resolution if you ask us! Happy New Year & Happy Saving! You want us to do what???!!! As you all know, we love taking pieces that come into the store and turn them into “Ahhhhmazing” pieces. 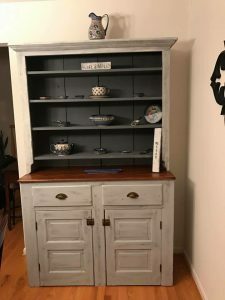 We paint, repurpose, whatever it takes to bring a piece back to life. We work our magic, put it out for sale and the perfect person comes along who just can’t live without it. That’s what we do. So, when we were approached to do a custom piece, a family heirloom, we were so flattered but also so NERVOUS!!! It’s one thing to paint a piece and put it out to wait for its new owner to come along and fall in love, no one is committed to buying it. No one has to love it. If it’s not your thing, don’t buy it. BUT taking someone’s precious piece and painting it so they LOVE it and still love us is a whole new ballgame. Well, If you know us, you know it took us about 5 seconds to say, let’s play BALL!! We committed and then we panicked. It’s what we do. This beautiful piece belonged to an equally beautiful person (Allison) who inherited it from her aunt. YES! Not only a special piece but a super, super, super special piece. NO PRESSURE AT ALL, right? 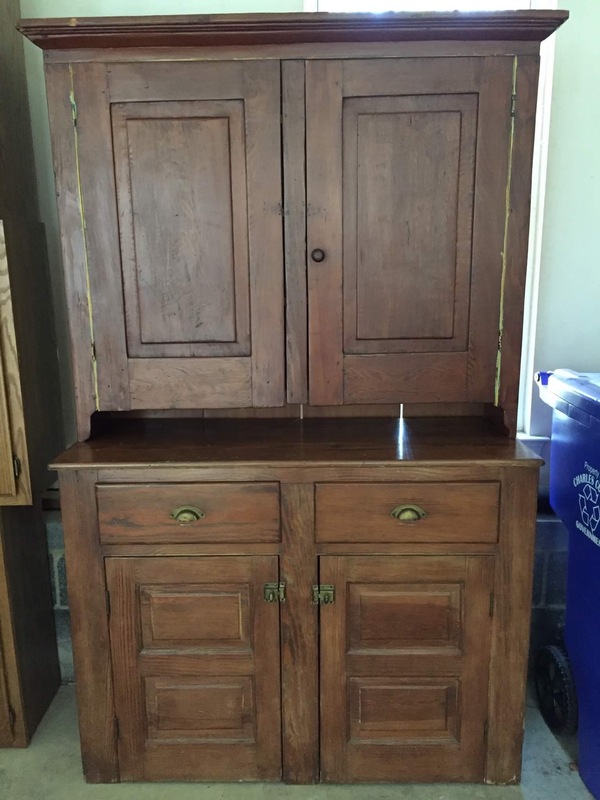 Here are the before pictures……We had a beautiful piece to work with! A lot of time, love and detail go into every single piece. This piece was no exception. We met with our customer, looked through Pinterest, tried different color combinations and did sample boards. Once we found the perfect “vision” we got started. We started at the bottom and worked our way up. Talking to Allison during the process we found out that she was very close to her cousin (whose mom was the previous owner of the hutch) and that she was going to love seeing this piece come back to life. 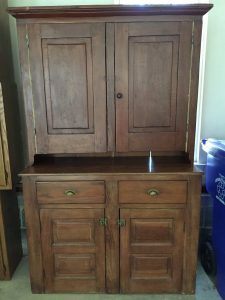 About the same time as learning this, we discussed with Allison the idea of opening the top part of the hutch up. She loved the idea of removing the doors and taking out the middle wood strip that the doors. In true rustic fashion, we needed to now find a purpose for these pieces we were removing. It didn’t take long to come with an idea to turn the doors into chalkboards for the wall, one for Allison and one for her cousin to hang in her home. The wood strip was turned into small wood signs. A completely different piece was created and not one single thing went to waste. This is what makes our hearts so happy! It’s why we do what we do!! Thank you Allison for your faith in us and allowing us to be a part of this journey! Happy cold weather ya’ll!! Fall and winter are the perfect time to get some projects done. 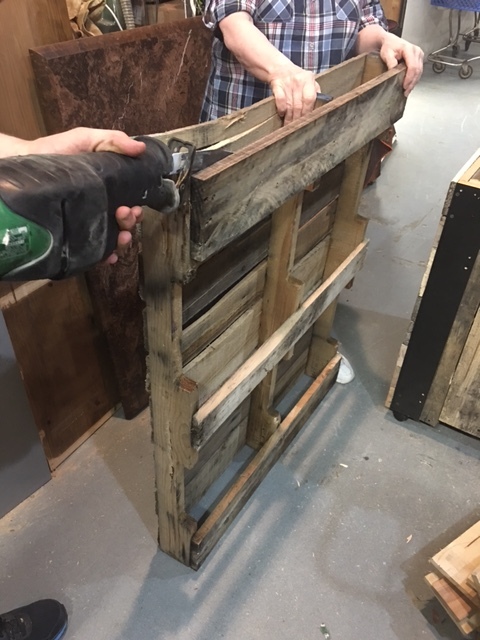 Everyone knows we love projects and everyone knows a lot of our projects are made from pallets. Basically we are borderline obsessed with pallets. Okay, really not borderline. Just obsessed. You get the point. Pallet wood is where it’s at right now and word on the street is you can score free pallets from lots of different places. Ask around and I am sure you will have a free pallet or 2 or 10 in no time. That’s the easy peasy step. Once you score your pallets, it’s time to take them apart. We have tried a few different ways and this is the way we have found to be the easiest for us. Safety First. Always! No one needs to lose an eyeball or finger or hand taking apart this free pallet. What a story that would be! Please….safety glasses and an assistant when possible. It’s much easier to cut if someone is able to help you hold the pallet in place. Plus everything is better with a friend. 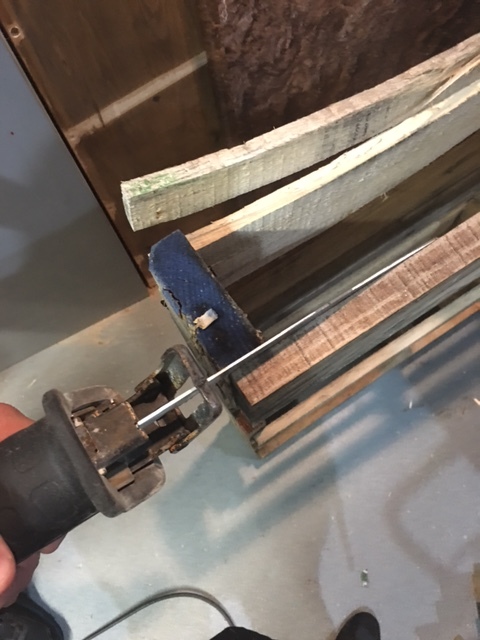 You want to begin by getting your blade in the “groove” or opening of the top piece of wood. Once you get into the opening you are going to cut through the nail. The nails are the only thing holding the pallet together, so the entire purpose of this method of deconstructing a pallet is to cut through the nails. Once you slide through that top piece you can keep on going down. Once you do this side, flip it over and do the other sides and the middle until all the pieces fall off. Viola! Now, you have a bunch of pallet wood for your project! Here’s a few pictures to show you the “trick”, which is to get that blade into the gap between the boards…. 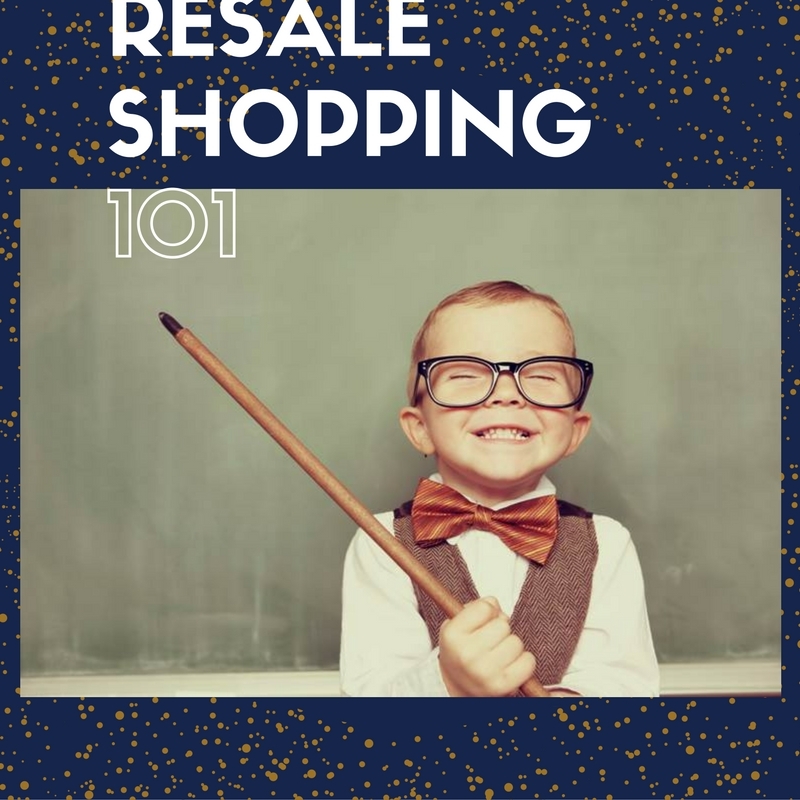 There are a lot of things we love…and on the top of our list is resale shopping. Not just for the obvious reason (because we run a resale store) but because we love recycling, upcycling, saving money and the great finds you can score! I mean, who doesn’t want to find that $150 Pottery Barn sign for $25?? Who doesn’t get a slight euphoric feeling when they score that Michael Kors jacket for under $25!? Shop Often….stuff Is donated all day, stuff is sorted all day, stuff is put out all day. Some customers will come in, shop and check out and then do another loop, because that’s how quickly stuff is put out some days. On any given day there can be several hundred items priced and ready to be put out. That’s a lot of stuff. Don’t feel weird for coming in a resale shop often or even several times a day! We get it! Trust me! Love it? BUY IT NOW! !….The item you saw today and want to think about tonight will be sold later today to the people who saw it yesterday and thought about it last night. It’s true! I can’t tell you how many times someone has stared at a piece and then left. They come back the next day because they couldn’t stop thinking about it and..it’s gone!! That is heartbreak! If you LOVE It, make it work. That leads to number 3. Like it, but don’t “LOVE” something about it? ?….I have had this problem several times myself. Oh my gosh!!! I love the frame, but the picture inside..not so much! Paint the picture/glass and make it a chalkboard. Love the fun and funky pin in the jewelry case but don’t wear pins? Clip it on a necklace and rock it! Embrace a sale…. Ok..you walk in and picture frames are $1 today! I.don’t.need.one.more.picture.frame. PERIOD! BUT…..I could print out a super cool quote to frame in it, paint the frame (if it needs it) and give it as a gift. YES!! Don’t like that idea??!! I can paint it and make it a chalkboard. We aren’t encouraging hoarding, but we are totally encouraging embracing a sale!! Think deep and think hard before you pass that sale up!! Sales in a resale shop make it so much cooler! Think of who could really use that…. You happen to come in on a day we are having a $.25 baby clothes sale. You don’t have a baby, so let’s mosey right on by. BUT WAIT!! Remember, that family at church who donations are being collected for? You wanted to help but don’t have the extra money to go out and buy baby clothes. So, $2 later you have 8 baby outfits! Sweet!! Your daughter loves dressing her baby dolls up, but who wants to pay full price to play pretend….baby dress up clothes for a quarter each? Yes please!! Share your “addiction”….many resale shops are small locally owned businesses. There are several out there, like ours, which are non-profit. Our success depends on amazing shoppers and donors. Don’t be ashamed to tell someone proudly where you got that purse that they just LOVE!! I can’t even wait for someone to finish saying “I love your (outfit)” before I am blurting out “I got it at a thrift store”. That’s like my favorite sentence in the entire world, how empowering is that?! I want people to realize that it’s ok to shop in a thrift store. Not only is it ok to shop in a thrift store, it’s ok to flaunt what you found at the thrift store and love your local thrift store (that’s us). It’s like we are giving people a new outlook on life. I must admit, I also love to see the looks on people’s faces who “would never step foot in a thrift store and will pay $250 for the purse I just got for $20” when I tell them it came from the thrift store. Have fun!! This should be rule #1 actually, but they say to save the best for last! Make a day trip of it! Grab some friends. Did someone say lunch and shopping? Map out 3-4 shops and hit them all! BEST DAY EVER!! 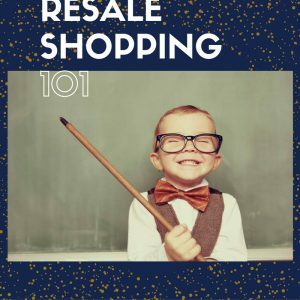 Have a resale shop on your way home from work? You have my permission to stop there on the way home from work as often as you want. Think of it as therapy. We are all just trying to survive this crazy life, so have fun and make the best of it! 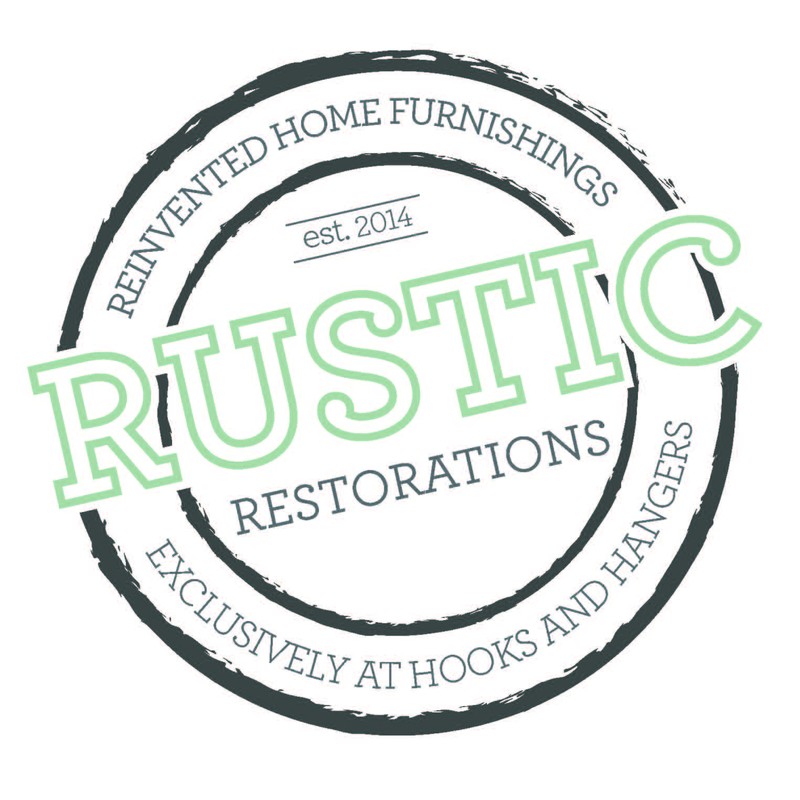 Have you ever thought…”WOW-those folks at Rustic Restorations are so amazing! Where did they come from and how did they get started”? (insert YES here). We figured you’d say yes, so we thought we’d start off our blogging journey with telling you our story. Let’s start at the very beginning. Spring Dell Center, Inc. is a non profit organization that was formed before schools were legally required to have programs to serve children with disabilities. They began in a basement of a church, much like a daycare/school type setting. Once laws changed and these children were transitioning into the public schools, Spring Dell Center saw the need to assist the population of those with disabilities who had finished school and were adults. They assist adults with mental and physical disabilities with residential, day and vocational programs. As you can imagine, a lot goes into running these programs and as the years go by, funding received from state and federal funding sources has gotten smaller. To offset the expenses and make programs possible that are “not covered” by state and federal funding Spring Dell Center began operating thrift stores as an additional source of revenue. 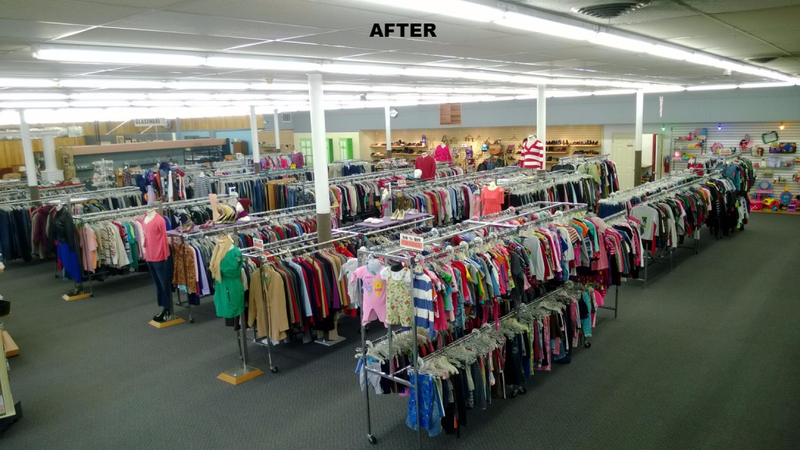 Spring Dell Center now owns and operates 2 thrift stores to help offset the tremendous cost associated with providing vocational, habilitation and residential services. Lucky for us, we have staff who are always ready to take things to the next level. 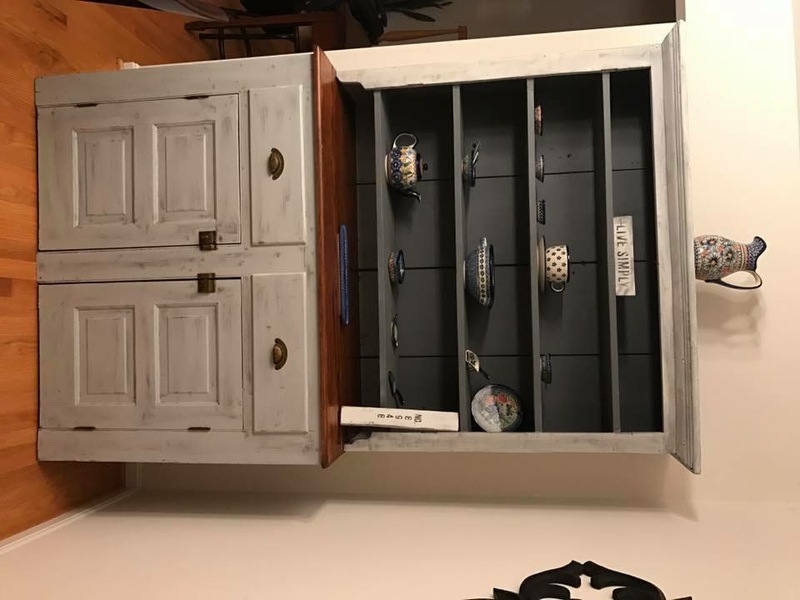 In 2015 a dream became reality for 2 employees of Spring Dell Center when they teamed up to open a section in the store restoring and repurposing furniture and other home decor items. The purpose was to keep things out of the landfill and also to make more profit for our non-profit. 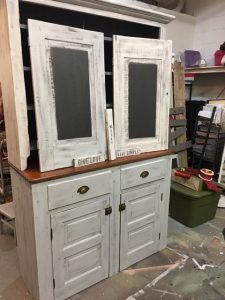 They envisioned upcycled furniture, rustic home decor, painted and restored furniture, DIY workshops and a place where people can afford to make their house a beautiful home. In the blink of an eye, (remember when we said we were ready to take it to the next level?) Rustic Restorations was born. 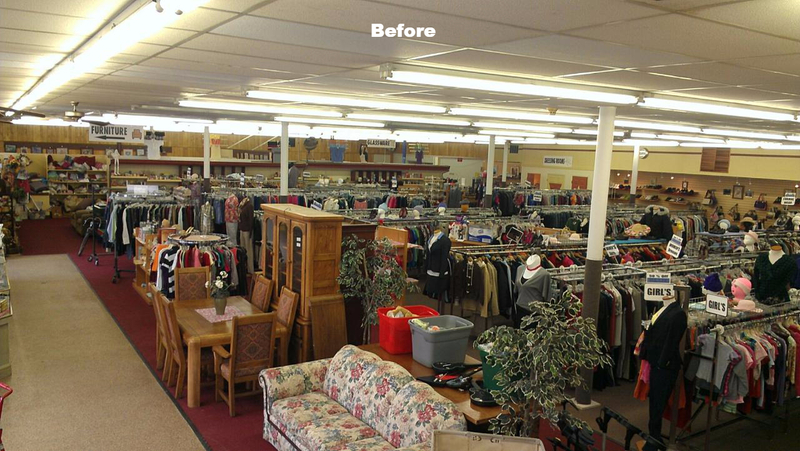 We are located inside Hooks & Hangers thrift store (yep, we said “that” word…THRIFT STORE. One of my favorite words). We had no idea how quickly we would grow!! Within the first year, we found a paint that we fell madly in love with and now carry Fusion Mineral Paint . Dreams do come true!! We don’t have a carpenter or professional woodworker, just a few people with a passion for making new things out of old and a heart for the folks we support!! People, with and without disabilities work alongside each other to make the stores a success. There is never a dull moment and our creativity is always flowing. Our secret, is really simple, find something you love and you will find success. Work with people you love, and you will never feel like you are working. Rejoice in the little things, because we are surrounded by the little things!! Something we take for granted everyday, is a miracle to someone else. Don’t take our word for it. Let us introduce you to Kristie. The piece of equipment she is using costs thousands of dollars AND IS NOT budgeted for using any type of funding source. This is why we do what we do. This is why our customers are so important to us. Your support makes things like the walker she is using possible. Who ever thought shopping could truly be so good for the soul? This is our story…. Stay rustic and real my friends. Rustic Restorations (RR) is located within Spring Dell Center’s Charlotte Hall Hooks & Hangers location. Items featured in Rustic Restorations include antiques, collectibles, vintage treasures and restored custom painted furniture and decor pieces! RR opened in January 2015 after Hooks & Hangers underwent a major renovation. Customers LOVE their daily finds and you will too! Come see for yourself and “like” the RR Facebook Page. Stay tuned for upcoming DIY Paint Classes and MORE! Project Hooks & Hangers Charlotte Hall Renovation, Success! Hangers in Charlotte Hall is Spring Dell Center’s largest resale store with 15,000 square feet of retail space. The Area Retail Manager and store employees envisioned a store remodel and revitalization for years and thought as the store approached it’s 15th anniversary, what better time to do it! Throughout the month of January, Spring Dell Center’s maintenance department, retail staff, and many volunteers worked to update and transform the store. The furniture room was expanded with the addition of columns, new carpet was installed throughout the entire store, paint was updated, the back room was reorganized and MORE! Perhaps the most exciting part of the renovation was the addition of the Rustic Restorations section. This section features vintage, DIY and repurposed items that would not have been available to customers before. …But really, we’d LOVE you to come by the store and see the transformation in person! Hooks and Hangers hosted an event at the La Plata location teaching students how to Dress for Success. The students are apart of the Young Entrepreneurs Academy through the Charles County Chamber of Commerce. 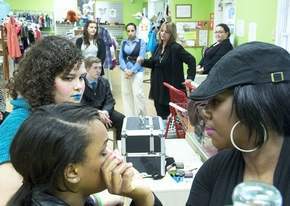 Jaclynn Thomas, left, and Jayla Bailey learn from LaKeysha Boyd-Moore about appropriate makeup for work during a field trip at the Hooks and Hangers thrift store with the Youth Entrepreneurs Academy program. The staff at Spring Dell Center also taught the students how to dress for business occasions. Young entrepreneurs got a few fashion do’s and don’t’s from businesswomen Wednesday night. Students in the Young Entrepreneurs Academy went to Hooks and Hangers in La Plata to get tips on how to dress for success. The academy is a program that takes students from grades 6 to 12 through the process of starting and running a real business. The program is a partnership among the Charles County Chamber of Commerce, Charles County Public Schools and the YEA nonprofit. Students work with business leaders to develop and cultivate their business ideas, write a plan and pitch those plans at the end of the course to an investment panel. LaKeysha Boyd-Moore of LB Signature; Christie Burnett, area retail manager for Hooks and Hangers; and Hooks and Hangers public relations coordinator Sheebah Smith took some time to help students understand the importance of knowing how to dress for business-casual situations, interviews and business meetings as opposed to how one would typically dress in a recreational setting. For the girls, the three woman stressed steering away from too-bright colors in clothes and make-up, as they can be distracting. The boys learned the appropriate times for wearing a tie, such as for a business meeting or interview, and a more business-casual approach, like a nice shirt and slacks. The group got a few tips as to what staples should appear in their closets, such as pressed white dress shirts and suits so that they are ready for any situation that comes up. In business situations both men and woman should have their hair neatly combed, and makeup should be toned down. etween business casual and recreational wear. The students had an opportunity to put outfits together using clothes from Hooks and Hangers to get an idea of what works and what might not work in certain situations. Each participants also received a $15 gift card to use at any of the three Hooks and Hanger locations in Southern Maryland. Hooks and Hangers is a resale store in association with the Spring Dell Center. Welcome to our new website where you can learn about upcoming events, sales and our ongoing involvement in the community! 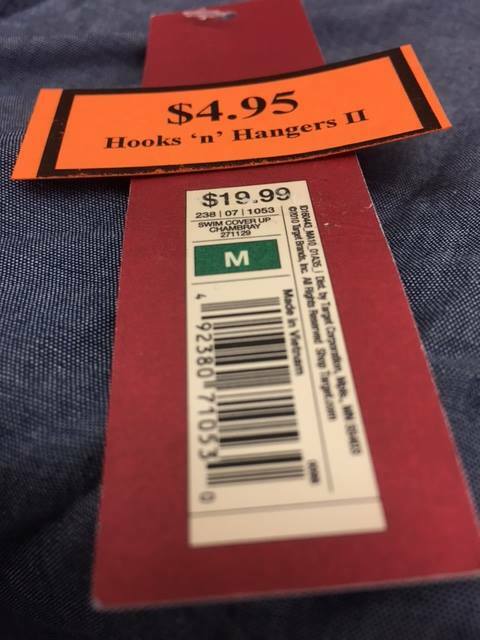 We, at Hooks & Hangers, are very excited about all the changes and upgrades being made to our stores and are always open to new ideas. Do you visit our stores frequently? Maybe you are a first time shopper! We are always open to new ideas, so let us know what you think! We can’t wait to hear from you. 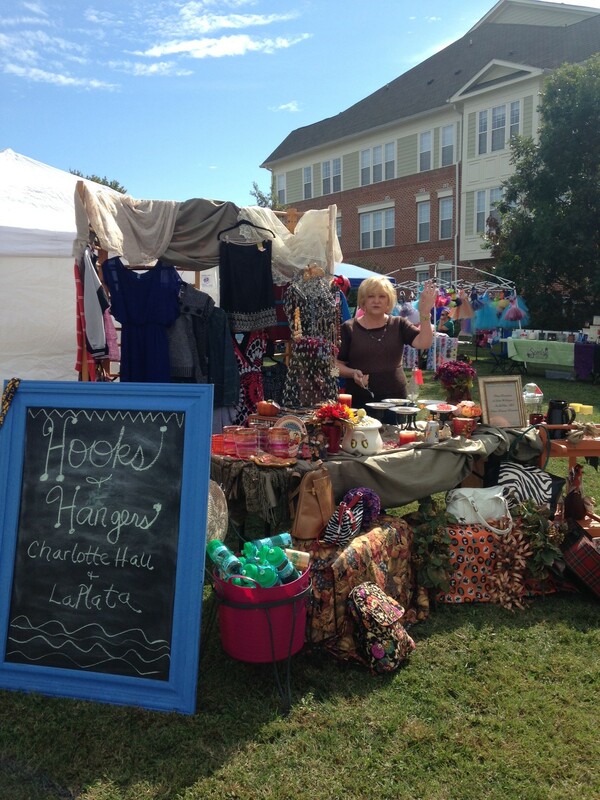 Also, be sure to check back on our community page to see how Hooks & Hangers is getting involved. See you around!